Monet sometimes set up 14 canvasses at a time in front of the windows in a second-floor lingerie shop across from the cathedral (much to the chagrin of its customers) so that he could move from one canvas to the next as the shifting light transformed the cathedral’s pale stone. The series was such a commercial success that Monet was able to finance his beloved Japanese garden at his home in Giverny, alongside the Seine. Fortunately, we also have the opportunity to spend an entire morning there on our 11-day Normandy & Gems of the Seine cruise on the Scenic Gem. Leisurely cruising along this meandering river from Paris to its mouth at Honfleur and back again offers an entrancing way to immerse ourselves in a landscape which, ironically, was frozen in time by the very painters who were fascinated by the evanescent. Impressionists like Monet, Pissarro, Manet and Boudin, and other giants of French art such as Bonnard, Gauguin and Van Gogh, have all made their mark here. Sadly, this image of France can often collide with its modern reality. The experience of getting stuck in traffic jams between the airport and Paris or being stranded with train and airline strikes does not mesh well with the fantasy of France that many of us carry around in our heads. But let me tell you, La Belle France is alive and well, hiding in plain sight on a river cruise along the Seine. Here you get a ringside seat to the history and culture, the geography and, dare I say, the very soul of France. From the first night when you toast the lights on the Eiffel Tower before gliding out of the French capital, the entire experience is transporting; precisely because you don’t go very fast. Along the way, you explore grand chateaux like Chantilly and Vaux-le-Vicomte, vibrant medieval towns such as Rouen and Honfleur, and beautiful, undulating green countryside. And you learn about the country’s grand heroines like Joan of Arc, and yes, even its grand and terrible theatres of war, from the battlefields of the Somme to the D-Day landing sites. Rouen, we discover, has been the setting for many twists and turns in French history. Mooring right in the city centre, the Scenic Gem offers guests a guided walking tour that starts from the boat and meanders through its narrow cobblestoned streets framed by half-timbered buildings that are so typical of Normandy. The picturesque Seine lapping at Notre-Dame. Exploring inside the soaring cathedral, our guide reveals many wonders including the fact that buried here is the heart of the French-speaking English king, Richard the Lionheart, son of the all-powerful Eleanor of Aquitaine. We learn that France and England were perennially at war, and a little over 200 years later in the early 1400s, the young Joan of Arc led the French king Charles VII to victory against the English. Later captured by the enemy, she was tried for heresy and burned at the stake as a witch right here in Rouen. We visit a soaring memorial cross that marks the spot on the Place du Vieux-Marché. A mere 25 years later a court pronounced her innocent and declared her a martyr. Today, you can learn all about it at the fascinating Historial Jeanne d’Arc museum, which sits inside Rouen’s Archbishop’s Palace. And at the Musée des Beaux-Arts, we admire one of Monet’s cathedral canvasses and discover that the Impressionists were not just painting poppies en plein air but were intent on capturing life as it was. For them, Rouen symbolised change, a city that blended the beauty of the Old World with the dynamism of the New. Pissarro, for instance, painted many of Rouen’s new bridges with smoke from factories in the background. Back on board, we follow les boucles, or loops, of the Seine as it meanders to the sea. There may be locks to navigate and factories like those recorded by the Impressionists, but there are also chalk cliffs, rustic hamlets, lime-green hillocks dotted with contented dairy cows, great flocks of seagulls, and willows whistling in the wind by the slow-moving river. It is mesmerising to sit, red wine glasses in hand on our private deck, and savour the passing panorama. For art lovers, there are so many opportunities to walk into the images that grace museum walls around the world. In Honfleur, we hear stories of how its native son Eugène Boudin inspired Monet to paint landscapes from nature, both producing vibrant images of the pretty little port whose narrow, brightly coloured houses still frame its boat-dotted harbour. In Étretat, we walk the same white chalk cliffs captured in ever-changing light by Monet, Boudin and Pissarro. And in Auvers-sur-Oise, we discover the simple house where Van Gogh lived at the end of his life. In another world entirely, at the exquisite Château de Chantilly, we explore the remarkable treasures of Henri d’Orléans, the son of the last king of France. Its Condé Museum is home to the second largest collection of antique paintings after the Louvre, including stunning canvasses by Ingres, Raphael and Poussin, as well as a remarkable library housing 19,000 volumes and 1500 manuscripts, of which many are illuminated. All this beauty and all these sublime landscapes that survive to this day make it all the more sobering to visit the D-Day landing beaches to see where the largest armada in history, more than 5000 vessels carrying 156,000 Allied troops, arrived on 6 June 1944 to liberate Europe from Hitler. Their casualties are mind-numbing. Ten thousand soldiers died on the first day. Interminable rows of white gravestones cover those rolling green hills. On our cruise back towards Paris, the ship moors at the pretty little town of Vernon, and we learn that a British regiment crossed the Seine here to liberate a wide swathe of Normandy in the advance against the Germans. Today, the setting is once again bucolic as we cycle leisurely on e-bikes past a half-timbered millhouse, where Pierre Bonnard lived and painted, and on to Monet’s rose-pink, green-shuttered home of 43 years in nearby Giverny. The Impressionism industry can turn his trailblazing work into a nightmare of souvenir knick-knacks, but if you drown out the commercial noise, it is fascinating to reflect on how this giant of painting was also a committed gardener and interior designer. Wandering around his yellow dining room and blue kitchen, his cornucopia of cottage garden flowers in the Clos Normand, and the serene but radical-for-the-time Japanese Zen garden lush with water lilies makes you realise how much he was a visionary of diverse talents. On our last day in Paris, the ship is moored on the Left Bank not far from the Eiffel Tower. I spend the afternoon looking at some of Monet’s masterpieces. From the collection donated by his son Michel at the Musée Marmottan to the five facades of the Rouen cathedral at the Musée d’Orsay, and to Water Lilies at the Musée de l’Orangerie (Monet’s gift to the French State as a symbol of peace at the end of the First World War), I feel immersed once more in the elusive, ever changing light of Normandy. And I can’t imagine a place I’d rather be than following the languid, lazy path of the Seine as it wanders to the sea. 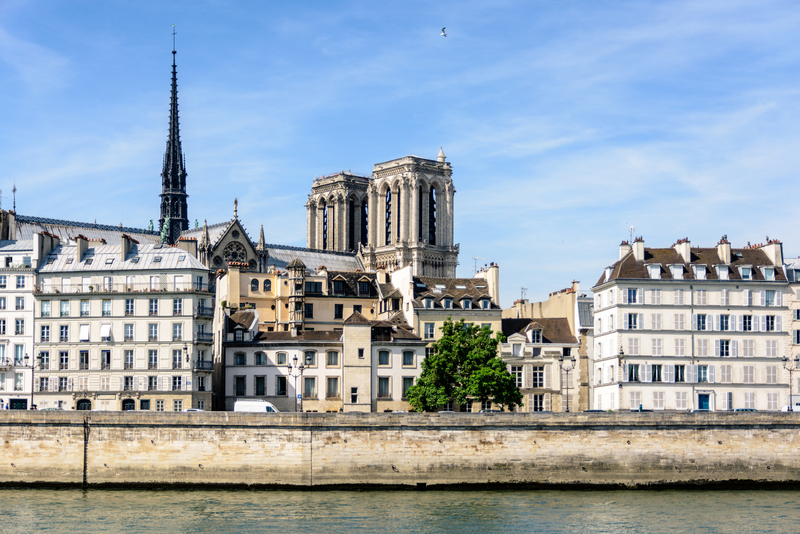 Scenic’s 11-Day Normandy & Gems of the Seine sails round-trip from Paris and stops at Les Andelys, Rouen, Honfleur, Caudebec-en-Caux, Vernon and Conflans. 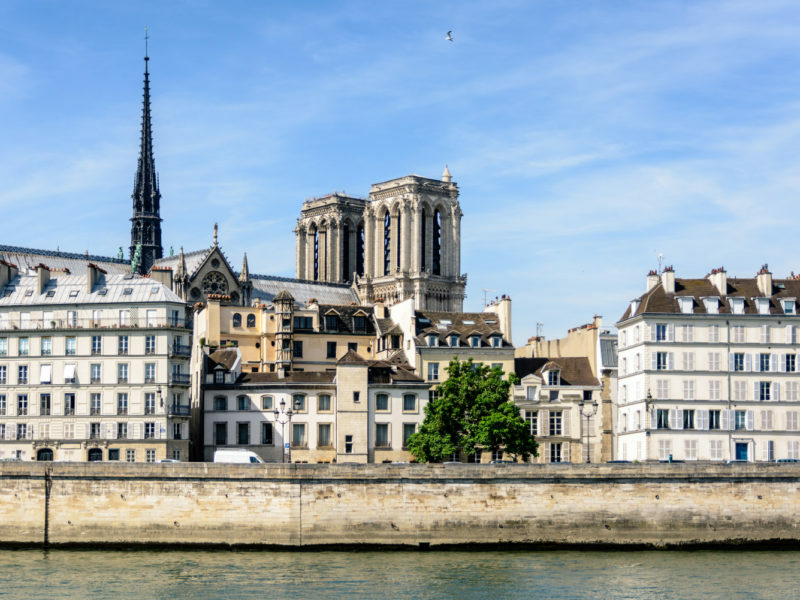 Offering an all-inclusive luxury experience for just 128 guests, the Scenic Gem is specifically designed to sail along the river Seine from Paris right into the port of Honfleur at the river’s mouth (many other river cruise ships must dock up-river and transport their passengers to Honfleur by bus); $6645 per person twin share for a standard suite and $9290 per person twin share in a balcony cabin, departing Paris on 10 October 2019. Fares include all on-board meals and drinks, shore excursions, complimentary mini-bar, free wi-fi, butler service, airport transfers and all tips and gratuities.